A personalized practice system that is based on crowd wisdom and AI technology, which will teach you to solve questions faster. Section on Integers, Algebra Basics, Fractions and Percents, Interest, Expressions and Equations, Rate and Work problems, Sets, Positive and Negative numbers, Counting Methods and Probability, and Descriptive Statistics will have you all ready to crush any and all algebra questions. 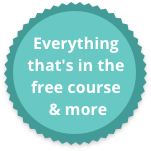 Sections on Geometry basics, Triangles, Quadrilaterals, Circles, Polygons, Coordinate Geometry and Solids cover every bit of geometry knowledge you need to know, and prepare you to ace every question that comes your way. About one third of all Quant questions, in every topic, are ones you don’t actually have to solve at all! Rather, these questions test your ability to figure out whether or not a question can be solved. These question require a different kind of thinking than you are used to, and with our emphasis on logical tools and flexible answer strategies, we’ve got you covered! Most quant questions require you to find a single, specific answer – but there’s more than one way to do that. 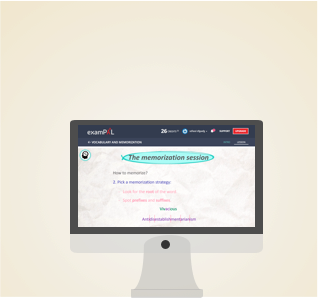 We constantly evaluate which PAL tool can work for each question – Precise equation solving? Alternative approximation? Logical inference? – and show you which is the right one for you. 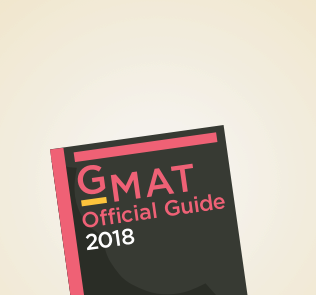 We prepare you for the most overlooked and underrated section of the GMAT. Consisting of four question types – Multi-Source Reasoning, Graphics Interpretation, Two-Part Analysis, and Table Analysis – the IR section combines both quantitative and verbal skills, and is thus an ultimate test of your GMAT skills. Why use the Quant Package? The Quant package is right for two kinds of GMAT students: those who only care about their Quantitative score, and those who are highly confident in their Verbal abilities and only feel a need to work on their Quant and IR skills. The Quant package is designed to help you optimize your performance on the Quantitative section, by providing you with the full extent of examPAL’s study materials and practice tools in this section. It also provides you with a unique and in-depth preparation for the often-overlooked Integrated Reasoning section, applying the examPAL system to this difficult section. Since the GMAC Executive Assessment exam tests only a portion of what the GMAT does, the Quant Package is perfect for it. The Executive Assessment places a heavy emphasis on the Integrated Reasoning section, which is comprehensively covered in the Quant package. In addition, the Executive Assessment test a limited range of quantitative skills, all of which are covered in this package. Finally, the Assessment tests verbal skills as well – but, since it doesn’t cover geometry at all, Quant package users will have plenty of leftover credits to devote to the Verbal sections! For these reasons, the Quant package is the most cost-effective package for aspiring executives planning to take the Assessment.